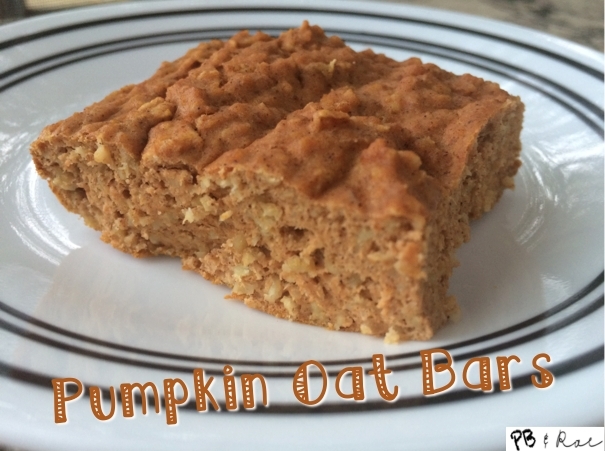 Quick, easy, healthy pumpkin oat bar recipe! The three main ingredients include pumpkin puree, oats, and protein powder making this a delicious snack! 2. In a bowl, combine the pumpkin puree, oats, protein powder, cinnamon, and baking powder together. 3. Add the egg, egg whites, and vanilla to the dry ingredient mixture and combine until well-blended. 4. Spray a square baking pan with cooking oil. 5. Pour the mixture in the baking pan.